Paracell Electric Paramotor Company have been quietly working away on their projects and have produced a good range of electric paramotor and electric trike options. A neat unit that incorporates a belt reduction system to a fan cooled motor. Claiming up to 64kg thrust and up to 70 mins flying on the ppg & up to 1 hour and 40 minutes flying time on the trike model with higher battery capacity. 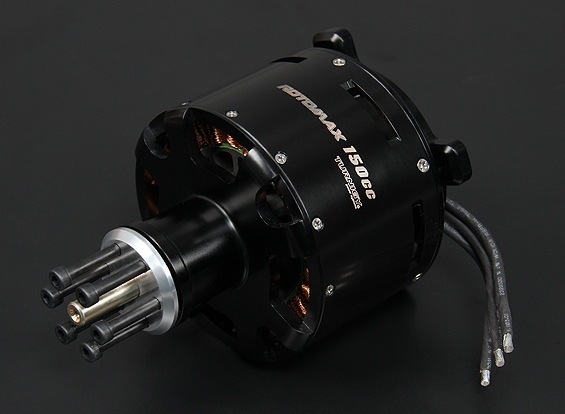 A 150cc size gas engine equivalent the Turnigy RotoMax 150cc Brushless outrunner motor. Another step towards an affordable electric paramotor. When combined with a 14s Lipoly battery and a 250Amp ESC the RotoMax motor will supply punchy, responsive power that only an electric setup can provide.